Rajlakshmi Borthakur had just rushed back home. Her six-month-old baby, Tejas, was having prolonged status epileptic seizures that had put him into a coma for two days. The doctors had prepared Rajlakshmi for the worst—memory loss, speech impairment, and a host of unknown brain damages. She went in to see her baby who woke up, looked at her and lifted his hand to touch her cheek. That was the start to Rajlakshmi’s long battle into understanding epilepsy. Raji, as she is fondly known, has been in and out of several ICUs and has consulted countless doctors ever since Tejas’ birth. “He is just a fat premature baby, and he will be fine, the doctors assured me,” she says.It took close to three-and-a-half years for Raji’s family and all the doctors to fully understand Tejas’ condition. His seizures rose from an undetected injury to his brain during birth. The late diagnosis had impacted his growth. Raji, who lives in Bengaluru, goes on to explain, “A brain MRI scan only tells you how the brain looks like. But an EEG (electroencephalogram) chart helps the doctor understand the brain activity at that moment.” EEG is the gold standard for detecting epilepsy, but even that could be inconclusive at times. This is what happened in Tejas’ case. Therefore it took a while for doctors to understand. She was advised by several to accept this as her fate, and live with Tejas’ seizures. “You can’t just give up on someone. What if I happen to miss an attack? How can we keep taking him to ICU?” she says. That is when Raji decided to spend most of her time acquiring knowledge about epilepsy. “The biggest breakthrough was discovering about markers left on human body after a seizure. An epileptic seizure is just a trigger to a host of chain reactions. Your heart rate may increase or decrease, pupils dilate, pulse rate changes, and these are all indicators that can be measured. The device I first started working on, TJay, incorporated this simple detail,” she says. A prototype created in the shape of a hand glove, TJay—once connected to your body—starts reading various signs such as oxygen levels and heartbeat, and plugs all the data onto a smartphone app. “I never wanted to start a company of my own. 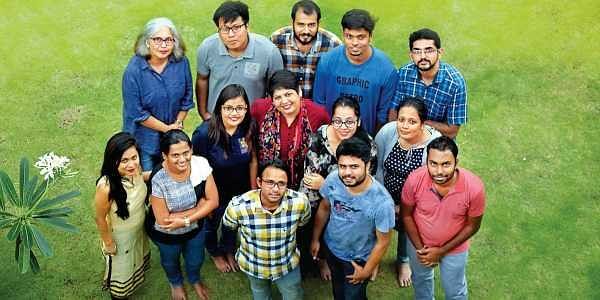 It just happened,” says Raji.In 2015, Raji and her team took part in Innovate for Digital India Challenge, a government initiative in association with technology giant Intel. TJay was shortlisted as an award-winning innovation. Having support of various government departments was encouragement for her to start TerraBlueXT in 2016. “My emotions for my son aside, there is a need for a diagnostic set-up at home, that can help tackle epilepsy better,” she says. Nearly one of every 100 Indians has epilepsy, making it the most common neurological disorder. “Research in epilepsy is attributed as something niche and it is very difficult to obtain funds for this. I am not doing this for a social cause. This product has a high commercial impact. I have spent a lot of my own money. One needs the access to research, clinical trials to create a reliable product,” says Raji. TJay’s enhanced version— a wrist watch called Xaant—can measure state of mind. Once connected to your body, it can show you how your mind and heart are closely connected based on your breath patterns, thoughts, environment, and body language. Raji emphasises on how reports can be generated using sleep patterns, heart rate and brain activity, to study the medical history of a patient.So where does Raji see herself in five years? “A female version of Elon Musk in India,” she signs off.